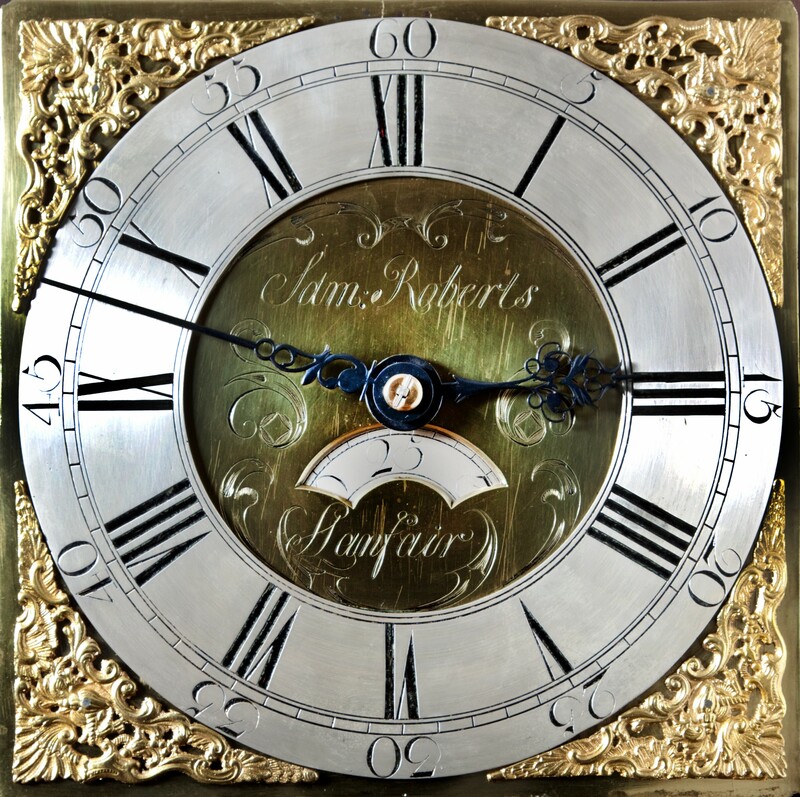 The clock has a thirty hour movement with a brass face which is engraved “Sam Roberts Llanfair” and is numbered 408 to the back of the dial. 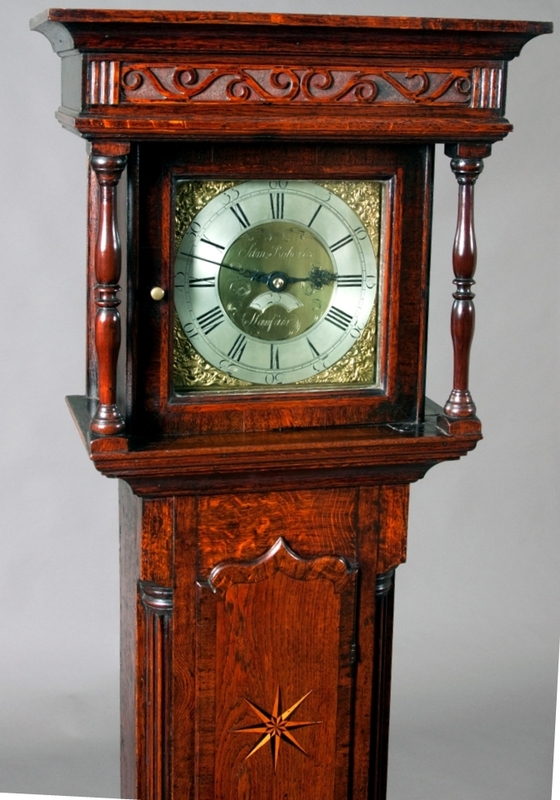 The case is exceptional and made from Welsh oak throughout. 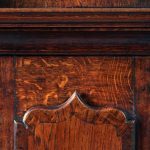 It has a gothic shaped door which is inlaid with a central star and with two further corner stars which are made from bog-oak and holly. 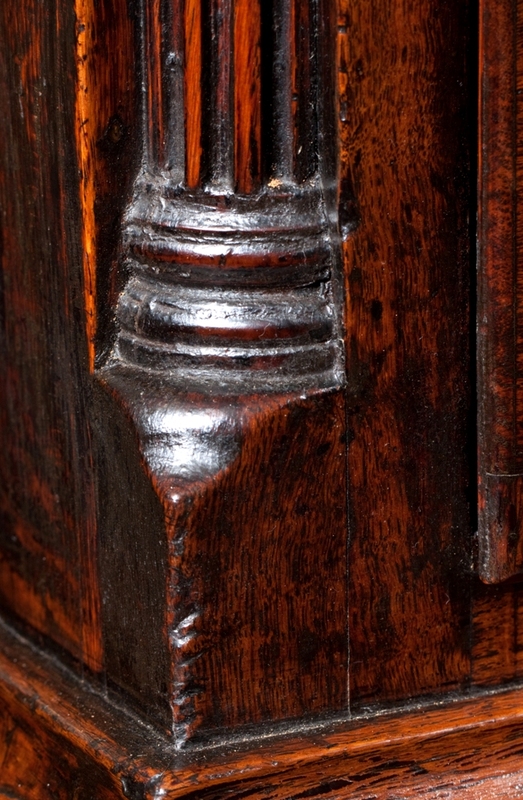 The door is also cross-banded in figured oak and is flanked by two fluted quarter columns. 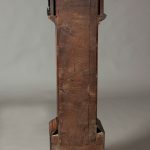 The base panel is cross-banded with walnut. 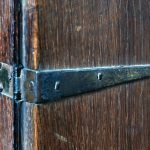 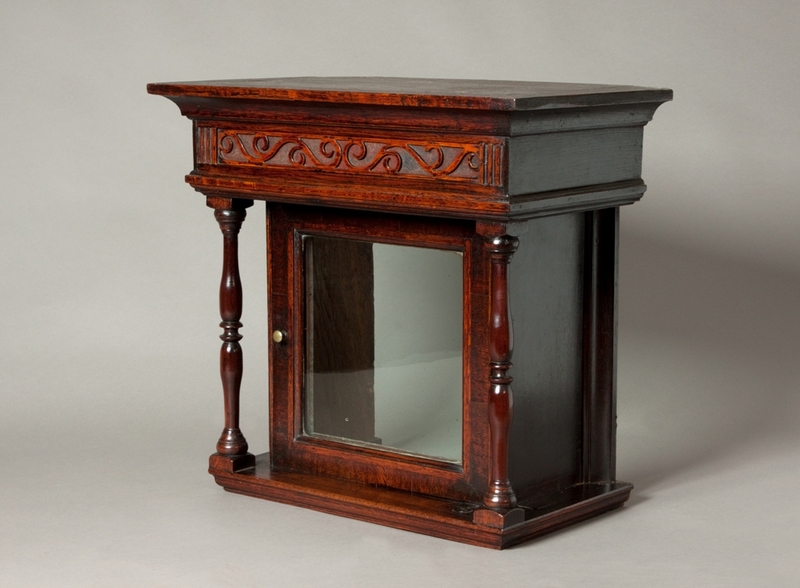 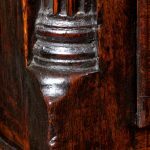 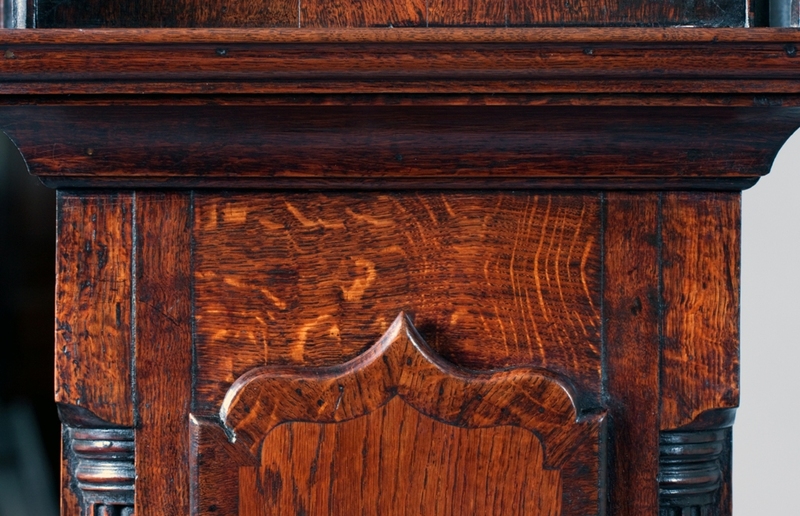 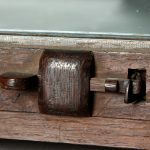 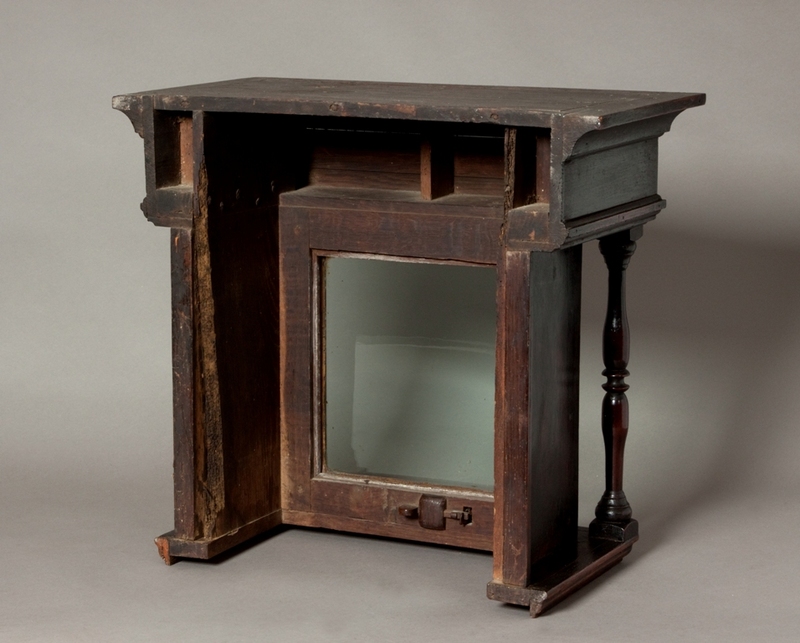 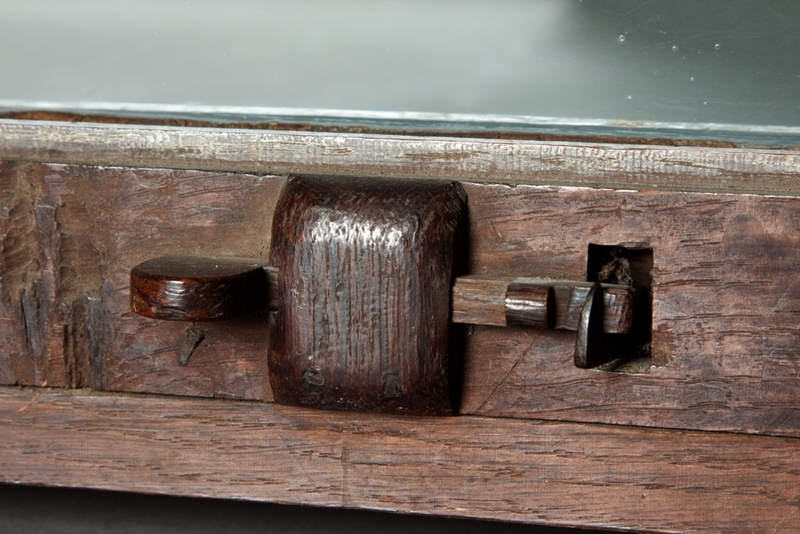 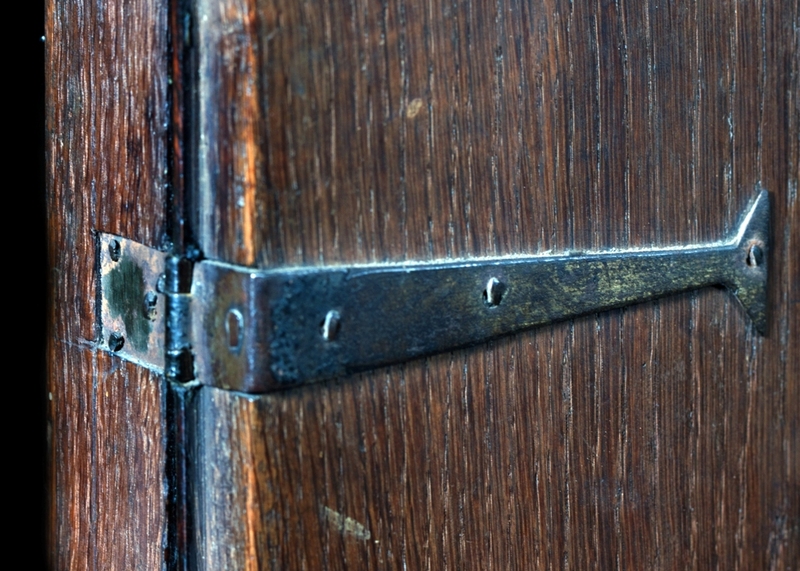 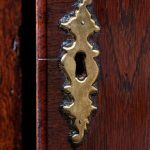 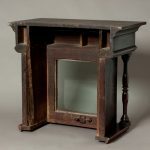 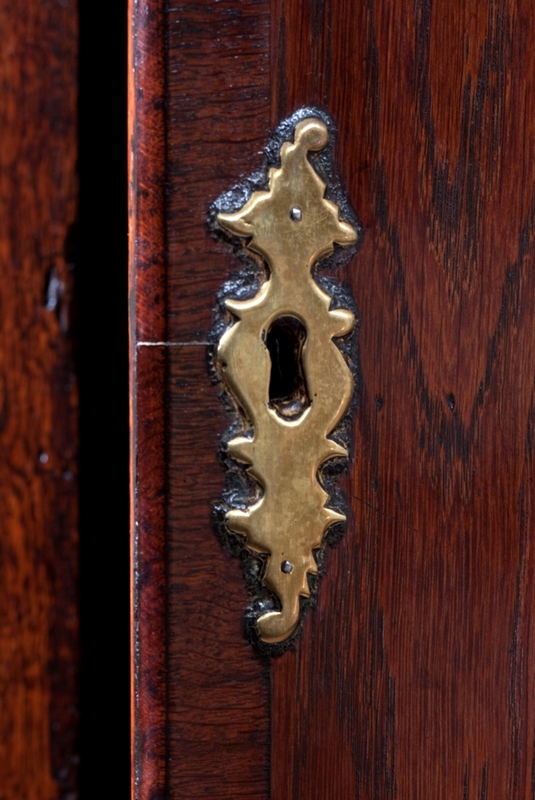 The original hood has a fretted frieze which is backed by red coloured material, possibly leather, and there are two turned yew-wood pillars either side of the dial door which is also cross-banded in figured oak and has original wooden lock and iron hinges. 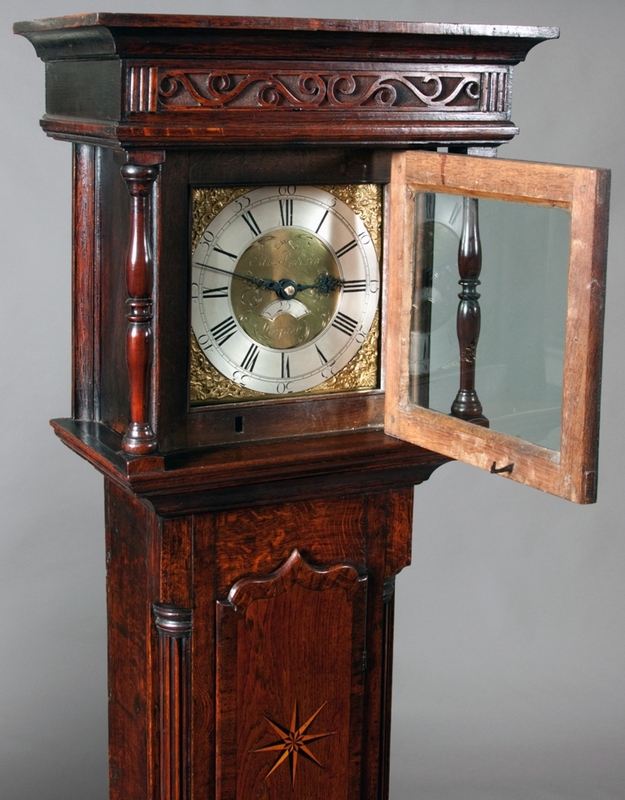 This wonderful case was probably made by John Lloyd of Llanfihangel-yng-Ngwynfa, a carpenter who supplied many cases for Samuel Roberts’ clocks at this period. 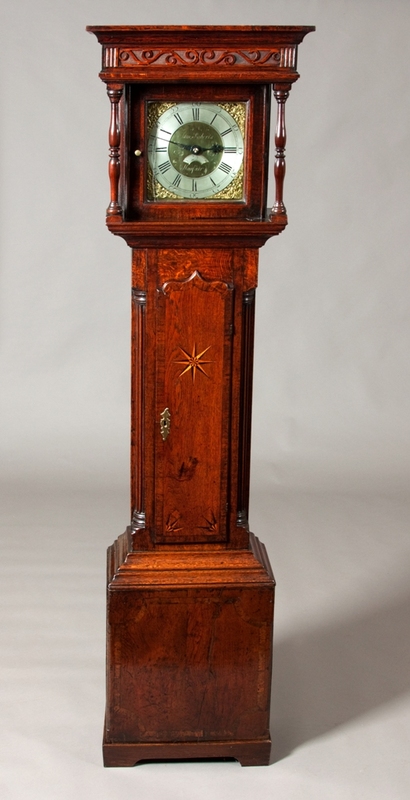 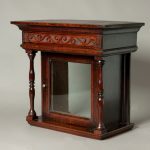 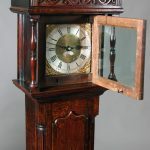 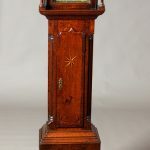 The case is in remarkable original condition with only the base plinth having been replaced at some time; probably due to the clock standing on a damp floor at some point in its life. 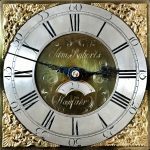 Further reading: Samuel Roberts Clock Maker: an eighteenth century craftsman in a Welsh rural community. 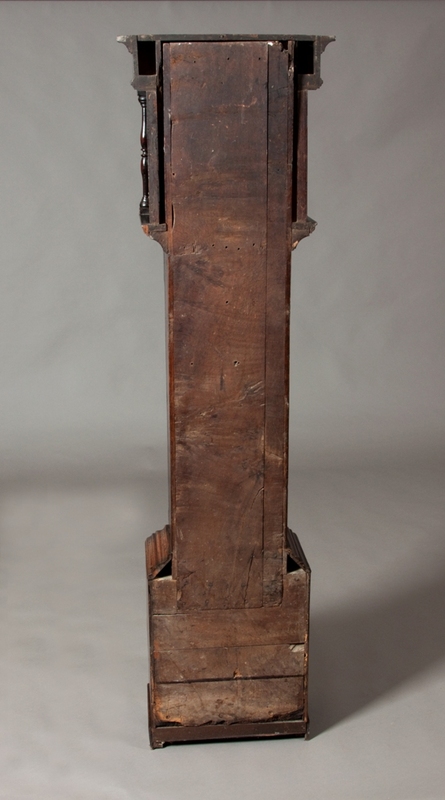 By W.T.R Pryce & T.A.Davies, National Museum of Wales 1983.